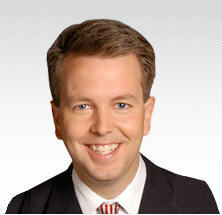 Reporter Jason Whitely of WFAA-TV in Dallas is a self-described online junkie who loves to work fast to feed the Web. Most of what he does online is not a job requirement. “I do it on my own because I like whipping the competition as much as possible,” he says. When he’s out on a story, Whitely says he’s often “hammering on the Blackberry,” sending in four or five paragraphs for the Web before he does anything on TV. He’s well aware that mid-day is prime time online and looks to break stories there instead of holding them for the next television newscast. During Hurricane Ike, Whitely and other reporters filed short videos for WFAA.com as well. Using a simple Flip camera, Whitely recorded 30-60 second video blogs like this several times a day and sent them in from his laptop via FTP–no editing required. These vlog entries are simply video versions of what we used to call “sceners” when I worked in radio news at CBS, and which my ABC colleagues called “ROSRs” [radio on scene reports]. They’re essentially “no pressure” live shots, done off camera in “show and tell” style. You can knock them out in no time, keeping your Web staff happy and giving your site users a reason to come back for more. Anthony Mirones, formerly of of WCPO-TV in Cincinnati, also believes in working fast. In a post over at News Videographer, he explains exactly how he does it. When I get to a “scene” I literally shoot a wide, medium, tight, tight, tight, wide. Now consider this, each shot was held for 10 seconds and now I can use anywhere from 3-5 seconds per edit. The longer the shot holds, the less editing. This can amount to 18-30 seconds of video. All shot in one to two minutes of arriving on scene. Because this is breaking news, I only need a sound bite and typically PIO’s are ready for it and can spew out all they know in about 20 seconds. Now my story is 38-50 seconds long. If I’m lucky I will find a witness (someone who heard, saw, felt, smelled) something when it happened. That person will talk for 10 to 30 seconds. Done. I record 20 seconds of voice over. Take 5-7 minutes to edit. I am not formerly of WCPO. I still am there. I just have a side business you’ve found and work is fully aware. Don’t make judgements. Be careful!